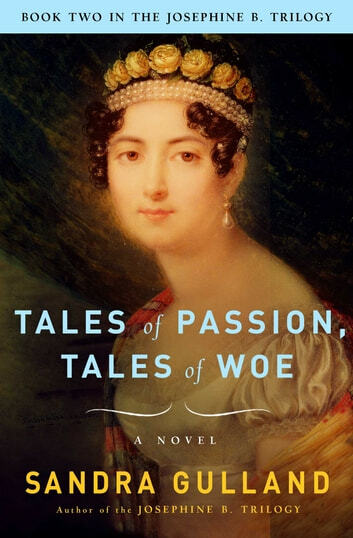 Tales of Passion, Tales of Woe is the much-awaited sequel to Sandra Gulland's highly acclaimed first novel, The Many Lives & Secret Sorrows of Josephine B. Beginning in Paris in 1796, the saga continues as Josephine awakens to her new life as Mrs. Napoleon Bonaparte. Through her intimate diary entries and Napoleon's impassioned love letters, an astonishing portrait of an incredible woman emerges. Gulland transports us into the ballrooms and bedrooms of exquisite palaces and onto the blood-soaked fields of Napoleon's campaigns. As Napoleon marches to power, we witness, through Josephine, the political intrigues and personal betrayals -- both sexual and psychological -- that result in death, ruin, and victory for those closest to her.